Thanks to a significant investment from multinational private equity firm Kohlberg Kravis Roberts (KKR), agriculture innovator Sundrop Farms is now poised to expand its solar thermal agricultural project to Australia and beyond. Located in Port Augusta, South Australia, Sundrop’s existing 20-hectare greenhouse facility will use the KKR investment to produce more than 15,000 tons of vegetables annually for markets across Australia which otherwise wouldn’t be able to maintain effective agricultural options due to the arid climate. Sundrop Farms, which has been innovating sustainable horticulture since 2010, also reportedly plans to expand into the Middle Eastern and North American markets to provide for similarly arid areas. Headed by co-CEO George R. Roberts, KKR’s recent investment in Sundrop Farms is one of many the company looks to make in an effort to partner with organizations that provide sustainable environmental solutions. The KKR investment will help Sundrop continue its work with renewable energy-powered agriculture. The team hopes the expansion of the Port Augusta greenhouse will create a hub for further agricultural advances, particularly to assist countries with environmental issues that prevent them from using more traditional agricultural methods. “We grow food where land is too arid for farming, fresh water is short in supply, and domestic food security is a concern,” explained Sundrop Farms CEO Philipp Saumweber. 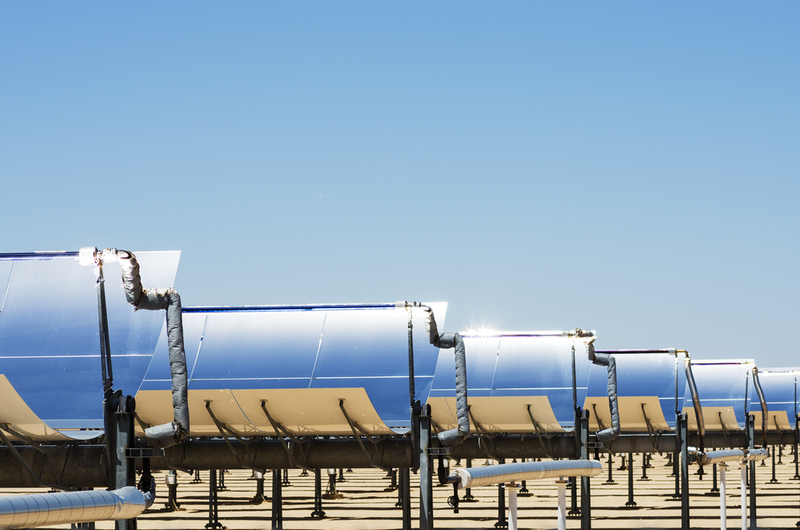 The “Sundrop System” uses concentrated solar power for heat, electricity, and desalinated water to provide agricultural output to areas that otherwise wouldn’t be able to sustain that sort of growth. In addition, the expansion of the Sundrop Farms project will provide long-term green energy employment for individuals living in the area who might otherwise not be able to find work—particularly of the environmentally-friendly kind. Construction of the Sundrop Farms Port Augusta expansion facility will begin this month and is to be completed in 2016. Learn more about KKR’s new investment and what it means for Sundrop Farms in this recent press release.